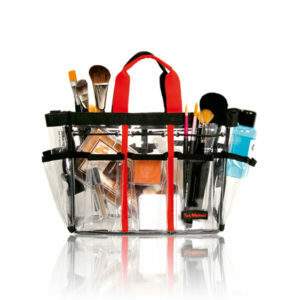 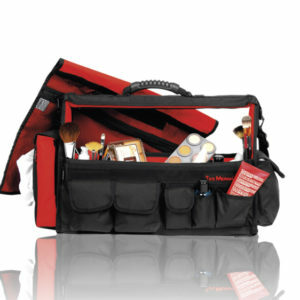 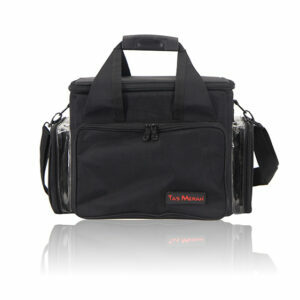 A square make-up tool bag with shoulder strap. Inside with mesh net pocket on the flap, and other mesh net pocket attched along the inside wall. 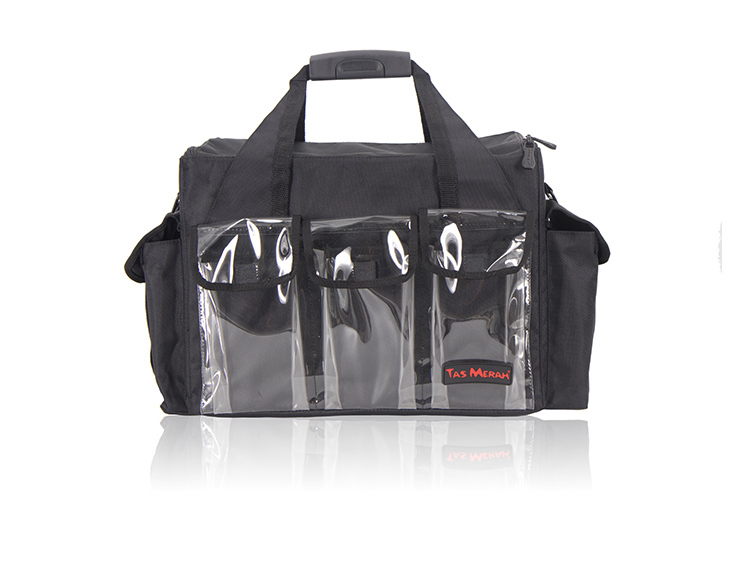 it comes with 1 polyester tissue holder, 1 polyester pocket, and 6 clear plastic pockets attached to the bag.